Chargers are in the preferred parking area, but EVs apparently do not have to pay more. 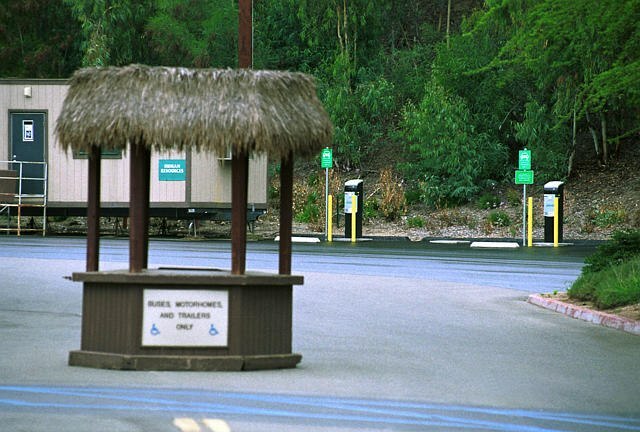 The chargers are past the main entrance and the preferred parking kiosk on the right closest to the sidewalk back to the main entrance, about 200 yards. 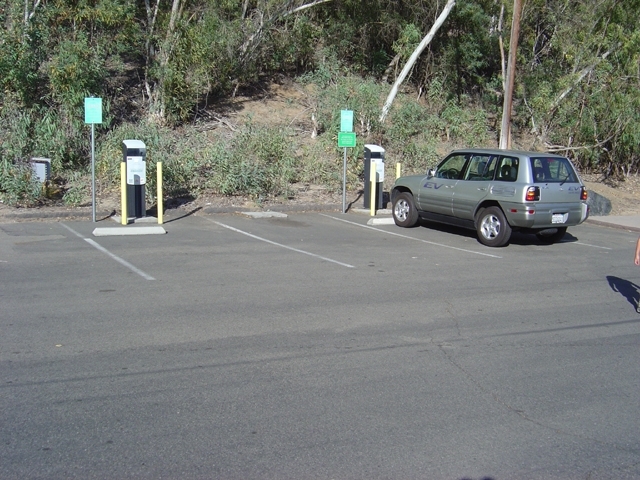 The quad 5-20 (120v) receptacle is on the back side of the breaker panel behind and to the left of the LPIs, on a short pole just above the ground facing away from the parking lot. Generated on Sunday, 1/30/2011, at 11:10:17 PM PT from evcnall.fp7.